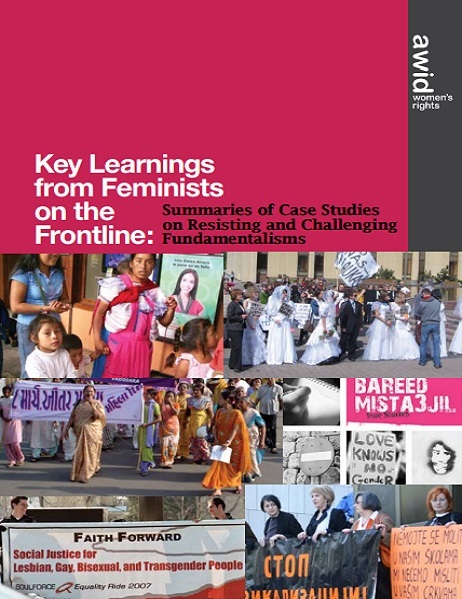 By presenting a cross-regional, cross-religion synthesis of religious fundamentalist strategies and feminist strategies, this report hopes to enable more effective resistance and challenge to fundamentalisms by women’s rights activists and their allies in other movements. 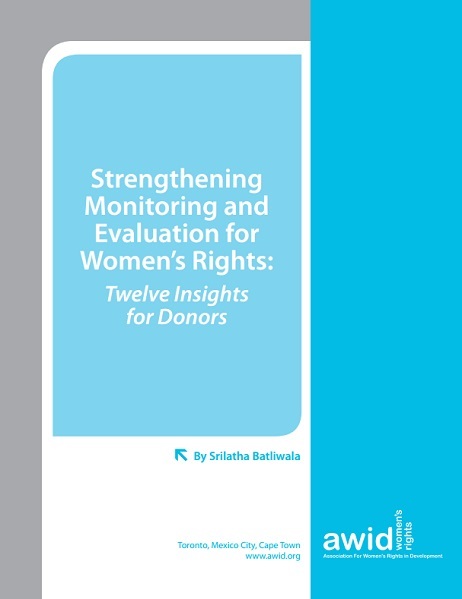 These twelve insights into how to develop more effective monitoring and evaluation (M&E) systems are important for those engaged in women’s rights and empowerment work at the grassroots, national, regional, and global level. 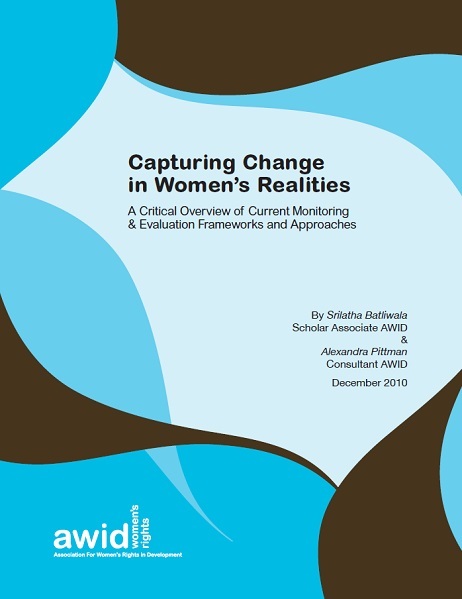 This document provides a critique of current monitoring and evaluation (M&E) frameworks and approaches as experienced by women’s organizations and movements worldwide along with an analysis of a large number of M&E frameworks and tools. 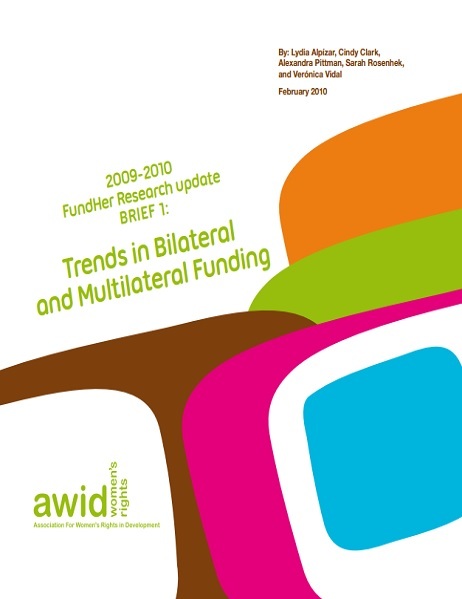 Key trends in funding for gender equality and for civil society organizations from bilateral and multilateral agencies. 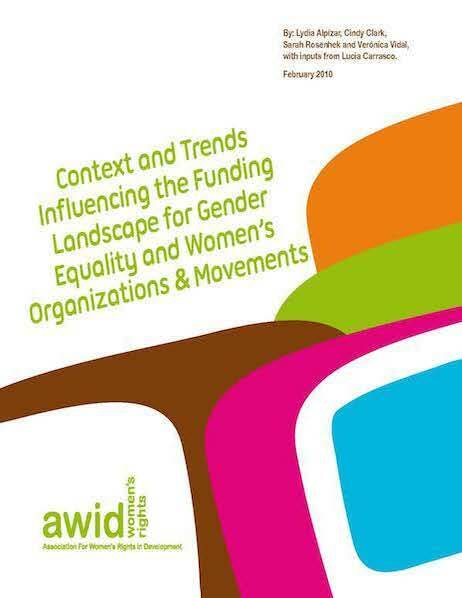 The analysis of trends and context presented in this paper are intended to inform both women’s organizations and donors in their work on resource mobilization for women’s organizing. This collection of case studies is a testament to the women and men around the world who have stood up to reject the imposition of norms and values in the name of religion as well as to expose and challenge the privileged position given to religion in public policies. 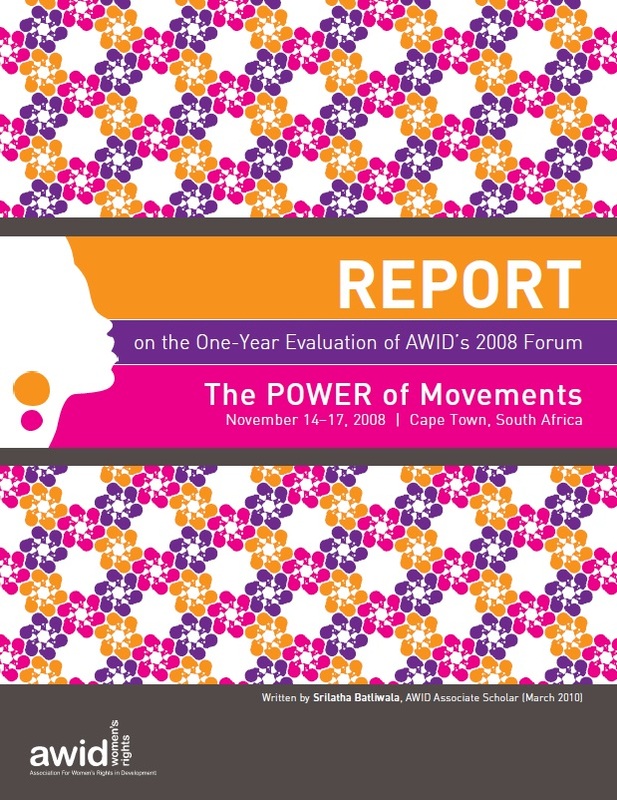 This report summarizes and analyses results of the one-year evaluation conducted among a focus group of participants at AWID’s 11th International Forum “The Power of Movements” held in Cape Town, South Africa in November, 2008. 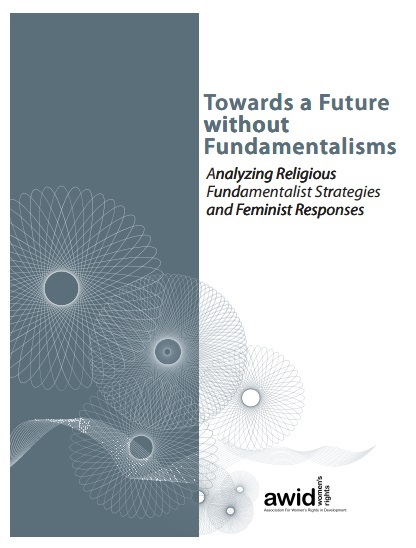 This brief report presents the highlights of AWID’s research to date on women’s rights activists' understanding and experience of the global rise of religious fundamentalisms.